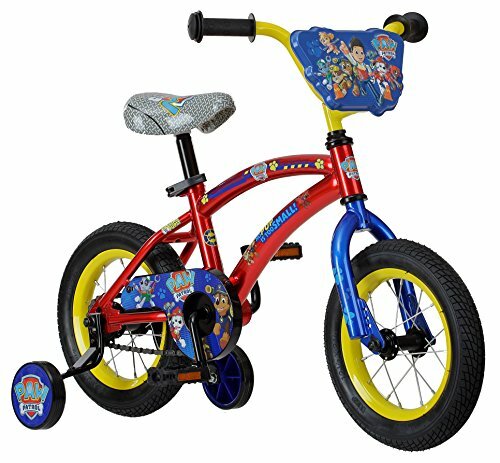 The Paw Patrol 12 inch bike is perfect for your little one to cruise around the yard or patio. The easy stand over frame provides a comfortable fit for younger riders. Foot brake for sure stopping power and heavy duty training wheels provide the stability needed. The quick Release printed seat allows for quick seat height adjustments as your little one grows. 3D character number plate included.